lace knitting | A creative life tangled up in lovely yarn! For years I have enjoyed The Knitter magazine. 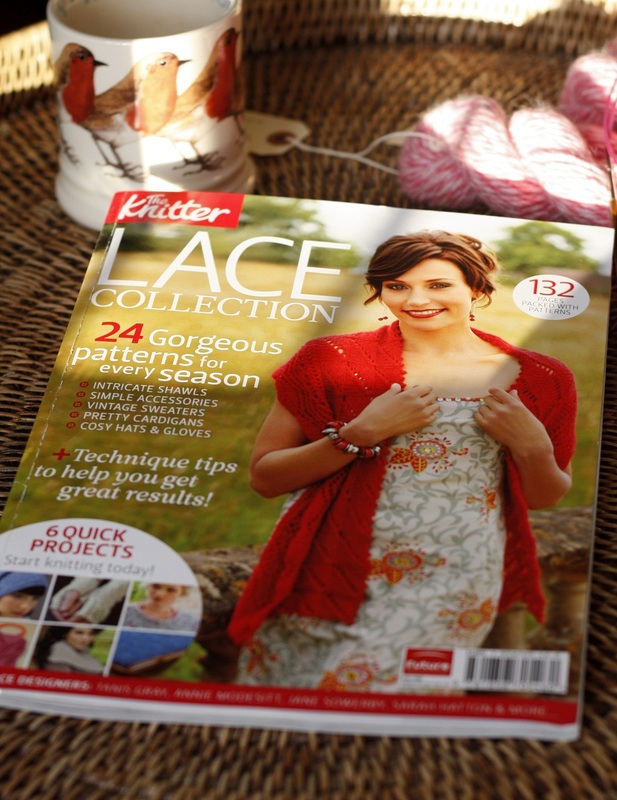 To me it is a magazine that has a feel for what the knitters want to make and read. Even though I might not cast on for one of the many beautiful projects right away, I will plough through the pages and enjoy the articles about interesting people in the knitting world. I have learned so much about the history of the wool industry, knitting traditions and also where the hand knitting world stands today. Editor Juliet Bernard has made this magazine loved by knitters all over the world. A cup of tea and feet up is the standard when the The Knitter arrives in the post. The other day I got hold of the Lace Collection form the magazine. I think it is marvelous that the lace gems from the magazine are made available. 24 beautiful patterns can be found in the collection. You will find shawls and stole, and there are many not so obvious projects. I love the laptop case “Elsa” by Ann Kingstone. Other favourites are AmandaJones “Dulcie Tunice”, an elegant top. It is hard not to be smitten by Melody Griffiths’ “Clarissa Cardigan” too. There are patterns for hats, a bag, sweaters and cardigans and a stunning blanket. Some of the projects are at beginners level and others require more experience. In addition to the patterns there is a great deal of good reading in the Lace Collection. I enjoyed the presentation of lace knitters form around the world. A lace knitting master class is very easy to follow and helpful, as master class articles always are in The Knitter. With my next cup of tea and feet up session I will read about the lace knitting traditions in the Shetland Islands. The Lace Collection is a keeper! It’s for sale online and makes a great gift too!